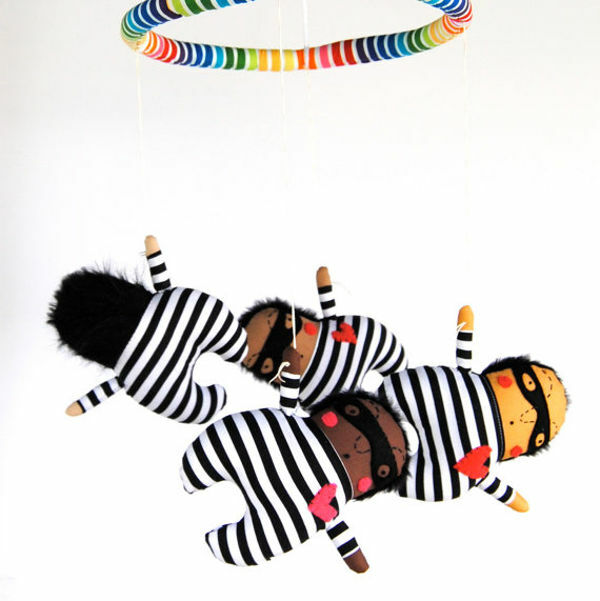 These aren’t your usual baby mobiles. 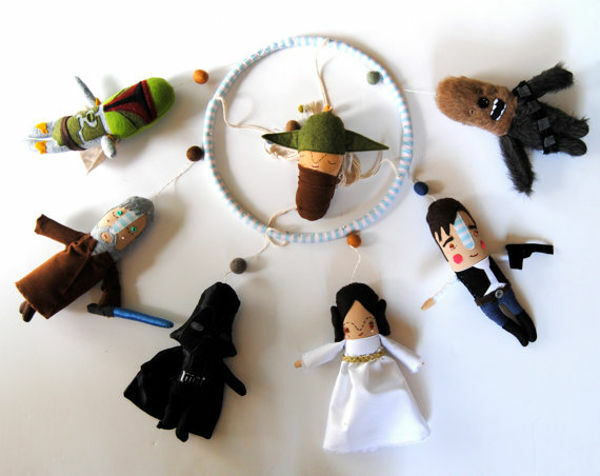 They’re works of art that make me lament my complete ineptness when it comes to all things craft. Alas, for those of us who cannot do, we can buy! 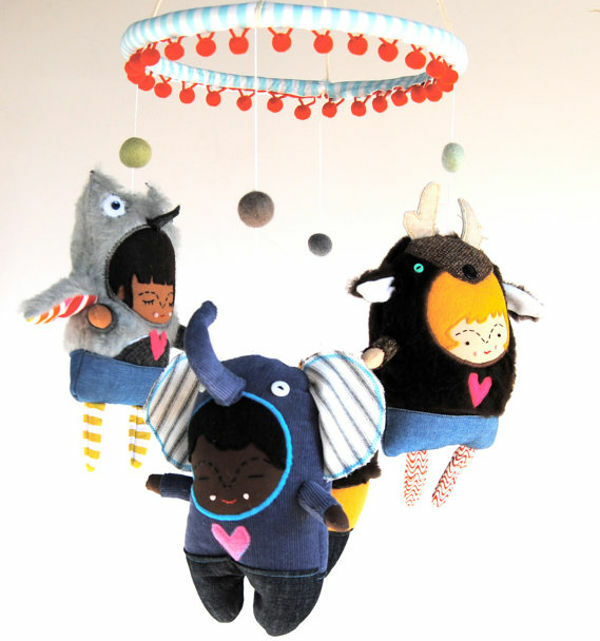 These incredibly detailed baby mobiles are created by US- based Pink Cheeks Studios, which has an Etsy store bursting with these pieces. 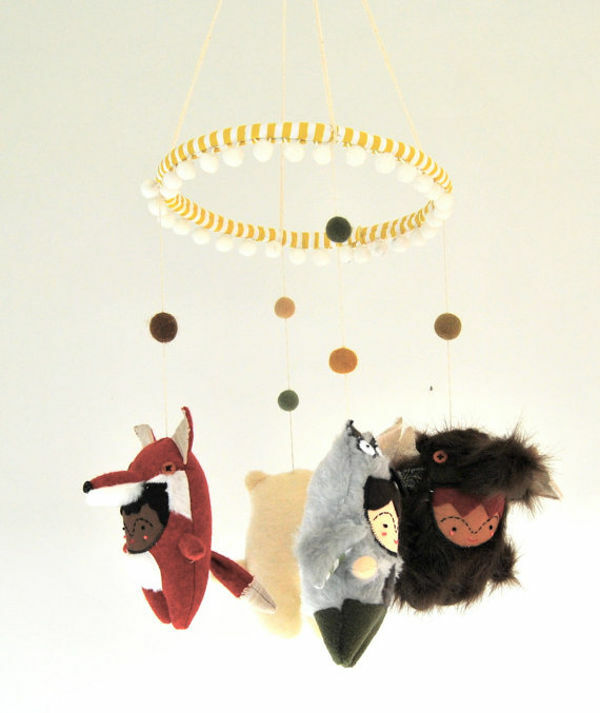 Usually baby mobiles have a fairly finite lifespan – perhaps a few months if you’re lucky. These beauties would look amazing in any room of the house – hence are a wise investment. Can you believe all of these brilliant pieces are made by just one woman? Nichol Brinkman says she started sewing in a bid to use up nervous energy when her mum was sick. 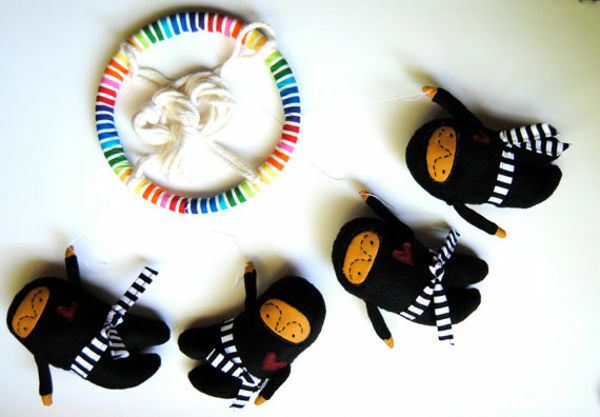 Sewing then became her therapy once her mother passed away, and of course it’s now her passion. 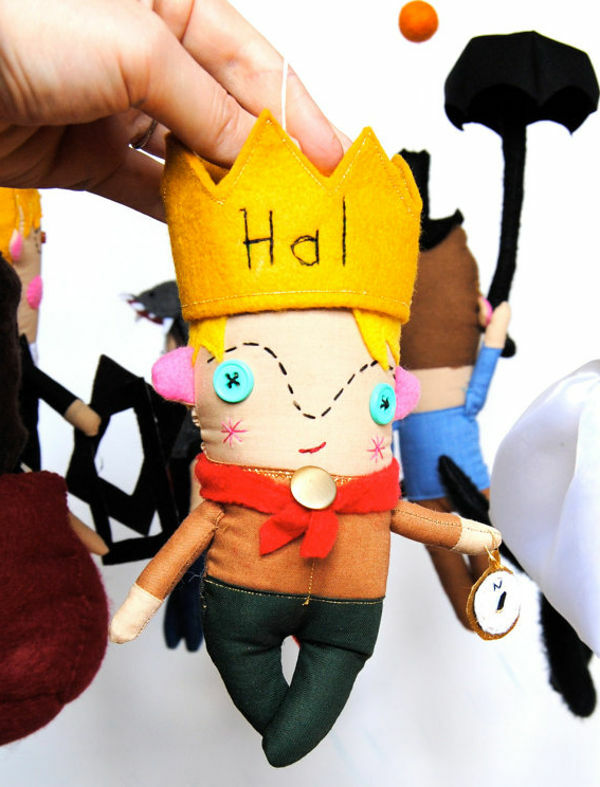 She works out of her tiny family dining room, and starts by drawing her characters before bringing them to life through her sewing machine. 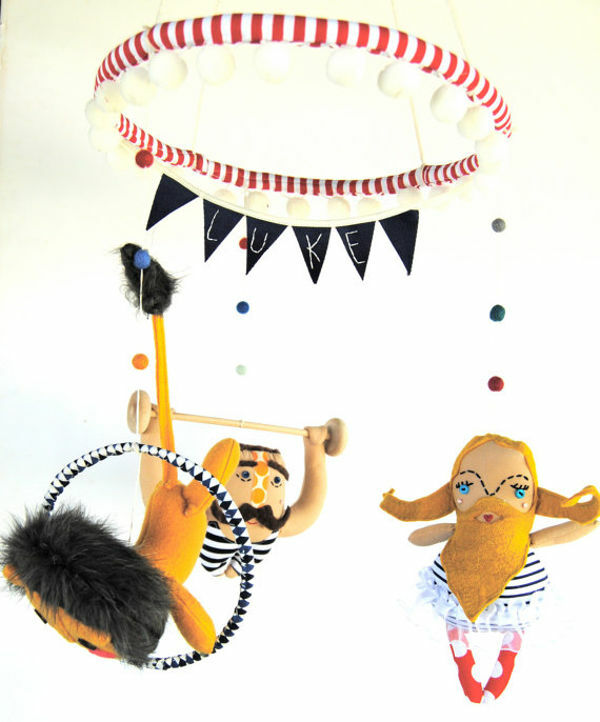 The baby mobiles are incredibly varies, there are ninjas, sumo wrestlers, skiers – even a circus sideshow complete with bearded lady. The mobiles range in price, but start at around $150 and go right up to around $380 for the amazing Star Wars-inspired creation. 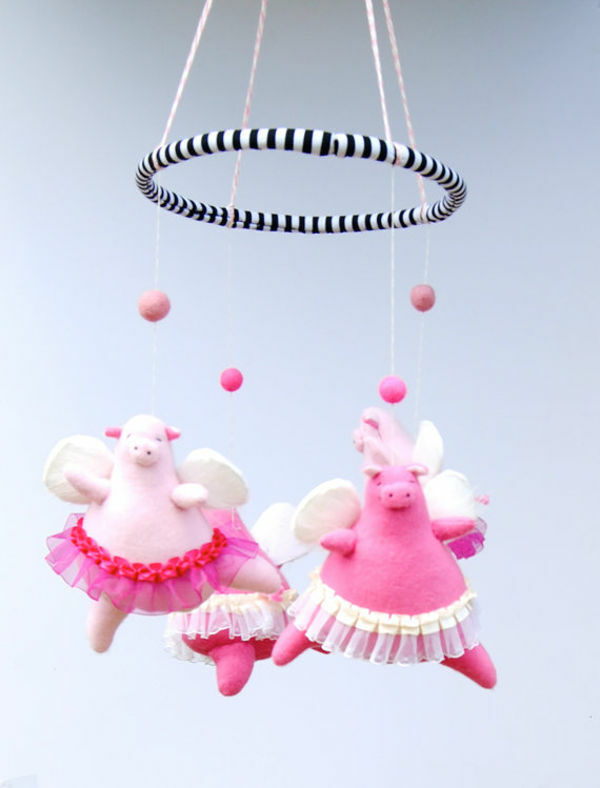 You can also contact Pink Cheeks Studios for custom orders, and international shipping.